The Salish Sea is an inland marine sea measuring some 17,000 sq km. It's the second largest estuary in the United States, following Chesapeake Bay. Size aside, we have a unique geology, hydrology and biology. Nearby mountain ranges create highly variable local climate patterns and a diversity of habitat types and species. Thanks to a series of glacial events, the last one ending about 10,000 years ago, the Salish Sea is characterized by deep fjords and glacial sediments. Temperate estuaries are generally among the biologically richest marine areas in the world (Kruckenberg, 1991). The Salish Sea is no exception. We have some 3,000 species of marine invertebrates, making the area a favorite among divers. And we count among our local species some of the largest and oldest animals. Cryptochiton stelleri, also known as the giant pacific chiton, is the largest of the chitons. It grows to 33 to 46 cm. Cryptochiton stelleri, also known as the giant pacific chiton, is the largest of the chitons growing to 33 to 46 cm. 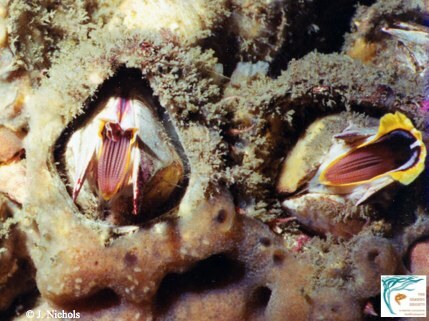 Balanus nubilis, the largest barnacle, is 15 cm across and 30 cm tall. Six pairs of long jointed legs (their class name, Cirripedia means 'feather feet') extend from the shell to rhythmically kick planktonic food and detritus into their shells, there to be eaten. Plumose Anemone (Metridium senile) largest Sea Anemone, 51 cm tall. 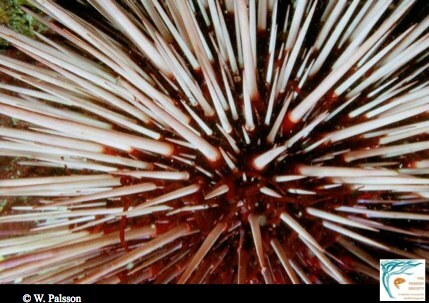 Red urchins can live to be over 150 years old. The cabezon is the world's largest sculpin. The Salish Sea has 25 species of rockfish. The copper rockfish can live 50 years. The quillback rockfish can live 90 years. The yellow eye rockfish can live to be 118 years. Rougheye rockfish have been known to live 205 years. The Lion's Mane Jellyfish is the largest species of jellyfish. The largest ones can be 7 feet across the bell (but not in the Salish Sea). 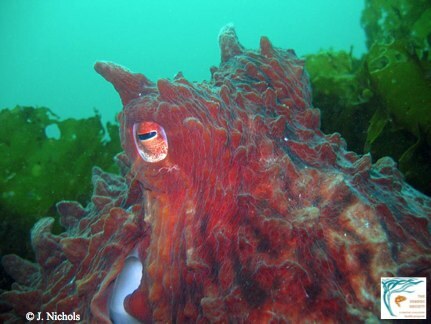 Octopus video via Seattle Times.